New York New Jersey Rail provides a direct connection across New York Harbor, enabling trains coming from various routes to continue directly towards their destinations. 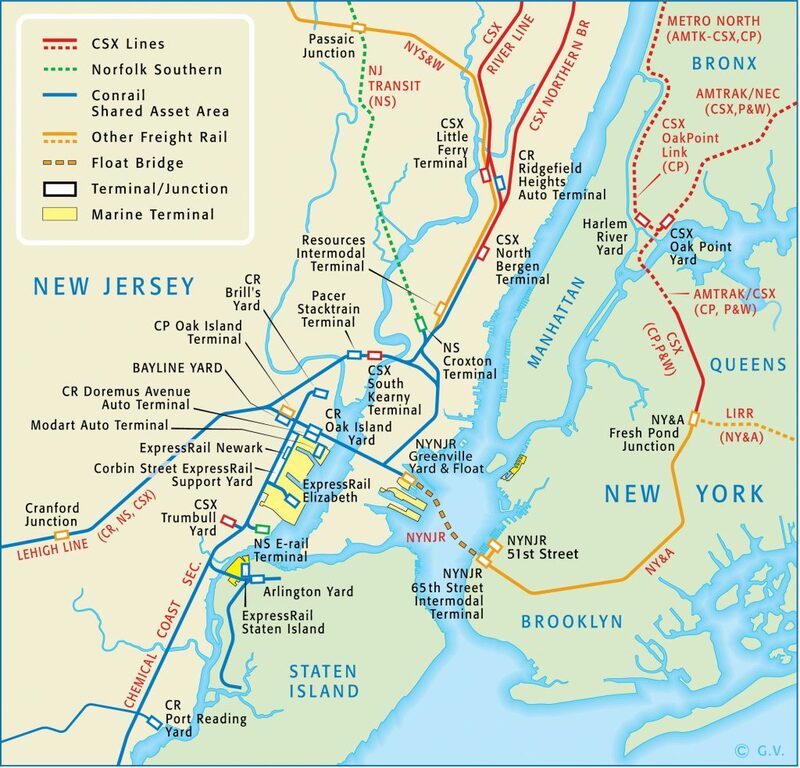 The map below provides a general overview of the primary freight rail routes around the Port of New York and New Jersey. Beyond the Marine Rail Division and the Port Jersey Rail Division, New York New Jersey Rail serves traffic up and down the Brooklyn Waterfront. 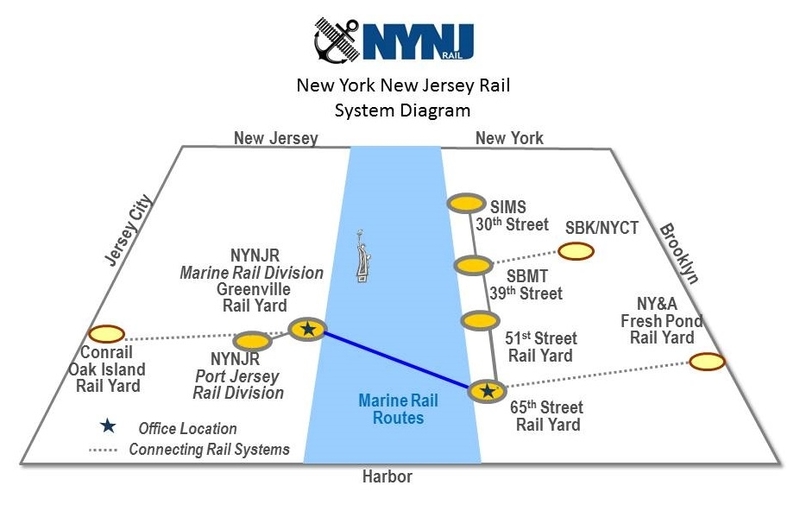 In addition to the 65th Street Yard, NYNJR operates the 51st Street Yard, serves traffic up 1st Avenue through the South Brooklyn Marine Terminal, with a connection to New York City Transit's 36th-38th Street Yard, serving its northernmost customer, SIMS Municipal Recycling at 30th Street.